It is so cool to see some of the first-ever-done-before-by-PTHF-plantings coming in this season. Well, this year is my first real foray into flowers. Ok, I didn’t go wild. 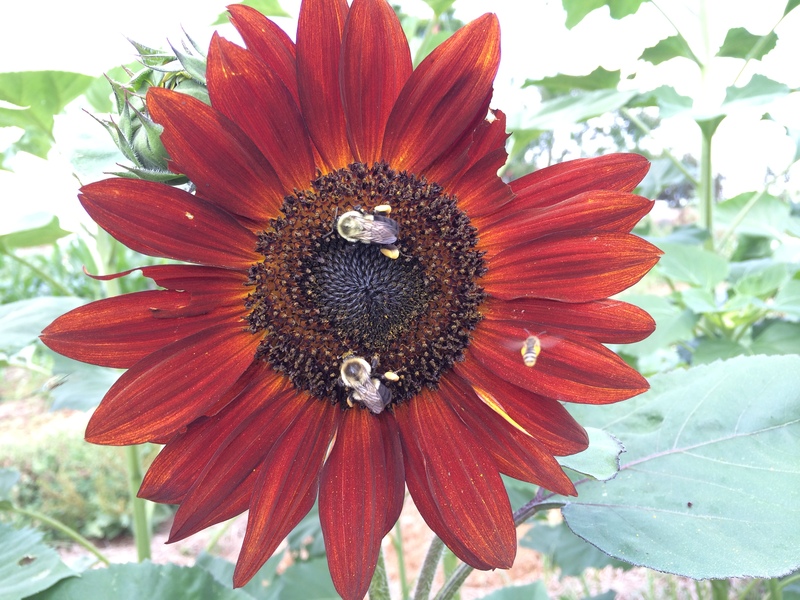 I just planted some zinnias and a mix of sun flowers….and both rows are starting to open up! I’ve already gushed about the zinnias. They are a rainbow of colors. Love ’em. The largest sunflower I have EVER SEEN!!!! I am 5’2″ people. 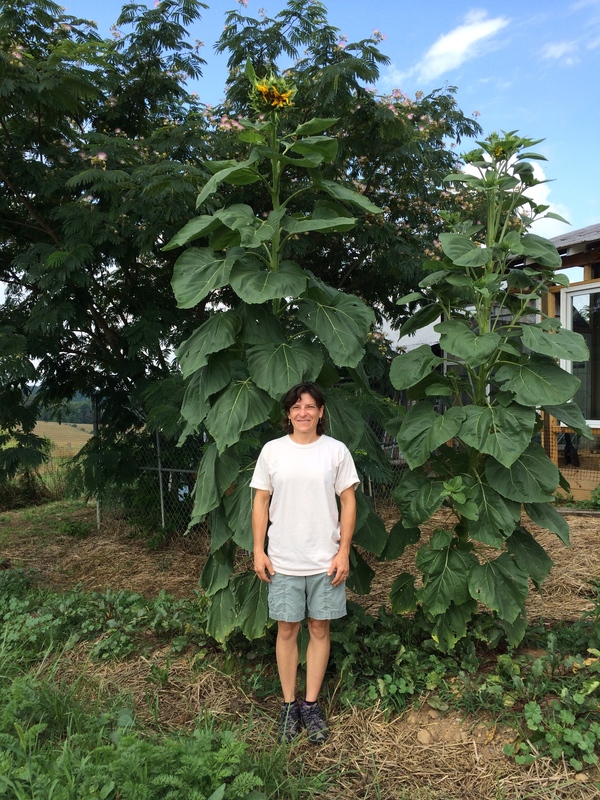 That volunteer sunflower is at least 30 feet tall. Ok. May be not. But it’s close! It’s neighbor isn’t too shabby either. Anyway. It is fun to see the tomatoes, corn, sunflowers, pumpkins, and other volunteers pop up any and everywhere. They may not be planned, but they are most welcome additions indeed! ← What did you do last night?